The Blog Why Tree Trimming? Trees enrich our lives. They make our properties beautiful and increase value. But, they can also become a hazard. So, tree owners must take seriously the responsibility of proper tree pruning and care. Since that is true, it is important to create a good tree care plan. The best plans include regular pruning and trimming. This is critical for the look and the health of the tree. Furthermore, it is important for the not only for the safety of those who enjoy it. Removing dead, broken or dying branches. Removing or cutting back branches that are too near to the house, power or communication lines. Reducing the crown of the tree. Raising the tree branches so they don’t impede on walkways or roads. Thinning and shaping the tree. Pruning benefits the life of your tree. It helps keep trees healthy. This process improves the safety of your property and your family. Further, proper trimming creates more light exposure for your garden and lawn. Therefore, regular pruning improves the overall beauty and value of your property. Yet, not all trees are the same. So, it’s important to confer with an expert. ISA Certified Arborists are experts in tree care. They handle trees according to its type. Some pruning methods actually cause damage to certain trees. So, choosing an ISA Certified Arborist helps to ensure proper care. They create and manage a proper tree pruning plan that is best suited for the type of tree in question. People don’t tend to get their haircut at just any salon. Rather, they choose a trusted business. So, don’t trust the beauty, health and safety of your tree to just anyone with a saw. 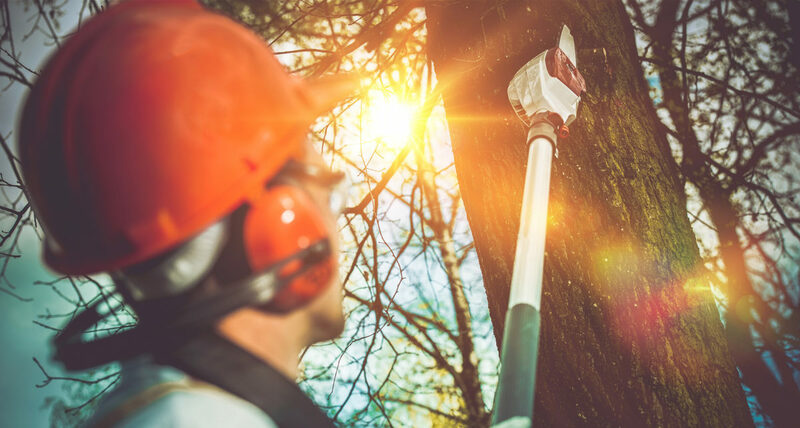 A&E Arborists Tree Care has a proven track record. We bring years of experience, excellence and expertise into every project. We are tree trimming experts. Let us help you improve the longevity, aesthetic and safety of your tree, property and family. Your trees and property deserve the best care possible. It's time for a plan. Let us help!